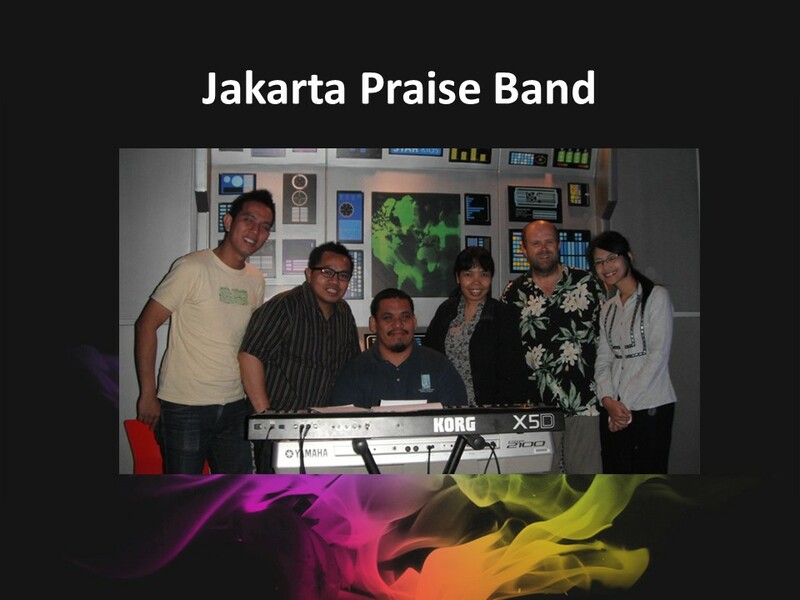 I attended a 6 AM worship service when I was in Jakarta, Indonesia in 2011. Between Easter and Pentecost, this congregation hosted predawn worship services every morning, praying that when Pentecost arrived there would be an outpouring of the Holy Spirit. This church is housed in a high-rise building, of which the congregation leases two floors. I thought this was unique until I learned the high-rise also housed two other churches as well as a mosque. We met in the children’s worship room, where we sat around on the floor while a small praise team led us in song. The music began contemplative, soft and reflective, but gradually became more energetic. They sang songs in a variety of languages including English and Dutch. That’s not unusual as Indonesia has more languages than any other country in the world. Interspersed with the music were passages of scripture. Of course, I couldn’t understand the readings, but Petra, the pastor who had invited me, whispered to me the passage so I could find the reading in my Bible and follow along. After about forty-five minutes of singing and scripture, they began to pray. Everyone, at once, prayed aloud. But this didn’t result in the chaos that you might think as the voices blended together to create a unique sound that was very beautiful. A couple of people moved forward as Petra and the other leaders of the church gathered around them, laying their hands on the shoulders and heads of them as they prayed. One of the women was praying excitedly when she suddenly fell backwards, only to be caught and gently lowered to the floor. After about fifteen minutes of praying in all kinds of tongues, Pastor Petra pronounced a benediction. We all moved to another room where we enjoyed Javanese coffee and nasi timbel (sweet rice wrapped in a banana leaf). When we worship, God is the ultimate audience. We gather and we offer our hearts up to God and when we do so, it is pleasing to the Almighty. If we think about worship in this manner, the experience of hearing all the various voices in prayer mingled together must be very pleasing to God. For you see, we’re all been designed and created in a unique manner by God who draws us together in unity in Jesus Christ. Today is Pentecost Sunday, the day we celebrate the birthday of the church. We’re already heard the passage read from Acts, the story of the church’s birth. The coming together in Acts is often contrasted with the dispersing of humanity at Babel. Today, I want us to look at this passage from Genesis. It occurs at the end of what is known as the “prehistory” in Genesis. It’s hard to take this “prehistory” literally as there are many contradictions within the text, but these stories provide a foundational meaning to how we are to live with God. After the flood, it appears everyone stuck together and there is a general failure to populate the world, as everyone works together to “build a name for themselves.” After Babel, people go their separate ways. In the next chapter, we see God reaching out to Abram, later to be known as Abraham. And what is God’s promise to Abram? God will bless him and make his name great! But that’s still in the future. Read Genesis 11:1-9. Instead the people of the earth joined together and in a singular band travelled across the face of the earth until they found a land of promise. There they settled. It was a rich valley. As there were no stones, they made bricks with which they constructed a city that included a tower reaching high into the heavens. From what we know, this was the ultimate family reunion. Everyone was together, happy and secure. One day God came down to earth to visit. The Almighty looked into the first corner of the world and saw no one. So God looked into the second corner and again saw no one, and neither did God find anybody in the third corner. This bothered the Creator. Something was wrong. Hadn’t he instructed the people to fill the earth? As God heads to the fourth corner of the world, he hears the sound of celebration. There’s a party going on as people are celebrating the new city and the security which they enjoy inside its walls. God wonders why he wasn’t invited. There, in the middle of the city, is a huge tower reaching into the sky. Its construction is the pride of the people; it is so big and so high. But to the Creator, it’s not that remarkable. In God’s eyes, it’s small, so small the Almighty has to get closer to see it. God isn’t threatened by the tower, but knows something must be done. The human race, it seems, is getting too big for their britches… No telling what these people might do next. So God mixes up the languages. Soon the architects can’t communicate with the construction engineers. The bricklayers and the plumbers and the drywallers are all speaking in different tongues. 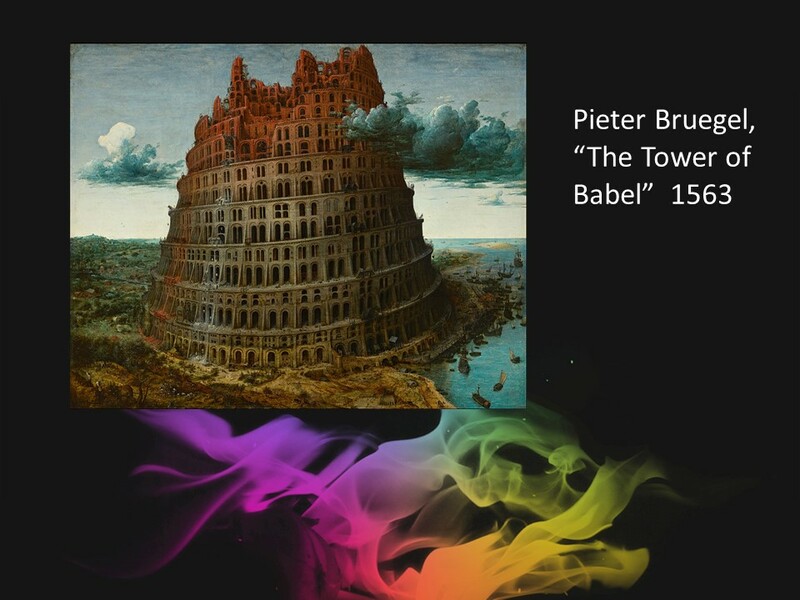 I retold the story of the Tower of Babel in order to clear up several hazy points. First, the tower plays a minor role in the story. But, we must admit, there is something about towers that intrigue us. As a child, I loved building towers and continued that love as an adult with my own children. One of our Presidential candidate’s boasts of his “towers.” The best restaurants are often at the top of towering buildings and cities like New York and Chicago and Shanghai boast of their skyline. There’s something about towers, but God never says the tower is sinful. The story is really about the city. We have this image of the people building a tower into the heavens so that they can storm heaven, but that vision comes from the active imagination fueled by our memory of Jack and the Beanstalk and renaissance artists. The text never gives us the idea an invasion of heaven is imminent or even contemplated. Instead, the tower serves as the unifying symbol for the residents. “We can do this,” they say to one another as they pat themselves on the back. If we pause to consider this story for a minute, I think we’ll see that it’s funny. It was a story told around campfires that brought a smile to people as it taught them an important lesson. The God of the Universe has to come down from heaven in order to get a look at what humanity is up to. This giant tower isn’t large enough to be seen from Outer Space! Of course, this doesn’t mean that God doesn’t know what’s happening on earth when he’s in heaven; instead, it is a statement of human inability. Furthermore, the sin in the story isn’t the tower nor is it the city. The tower and the city are symbols of the people’s sin, as they think their accomplishment speaks well of their abilities. They are proud people who have failed to heed God’s command to fill the earth and have decided they can depend on each other for their needs. There is no need for God. The people in this city never mention God, from what we’re told. They’re going merrily on their way as if they are in control of their own destiny, which in the mind of God is arrogance. The division of people into various language groups isn’t for punishment. Instead, the potential of a future calamity is avoided as God sees to it that the mandate set forth in Genesis is fulfilled. God desires the world to be filled with different people. Diversity is celebrated within God’s kingdom. Unity doesn’t come from human effort but from a common need of all people to look to the Almighty for their security and to worship God for their blessings. Unity comes in Jesus Christ who prayed for his disciples’ unity. In the coming of the Spirit on Pentecost, God sought to bring believers into a church that may be split by language and nationality, by style and customs, but is united in its belief in a common Lord. We should note a fine difference in the use of language between our stories from Acts and Genesis. In Genesis, the emphasis is on what people can do by communicating together with each other. Such ability enables them to do things on their own without having to depend on God. In Acts, the emphasis isn’t on speaking in tongues (any more than the Genesis story is on the building of a tower), but on people hearing the gospel in their own unique language. These two passages, the scattering of people through language and the bringing together of people on Pentecost, go together. They show our God’s desire for a unity focused on Jesus Christ, not on our own wishes and desires. Babel fell into ruin as the people dispersed, but that doesn’t mean that God is against cities or human achievements. The collective ability of the human race is vast as we see in this story and that can be celebrated, but we must never forget our limitations and the fact that we need to depend upon the Lord in all things. 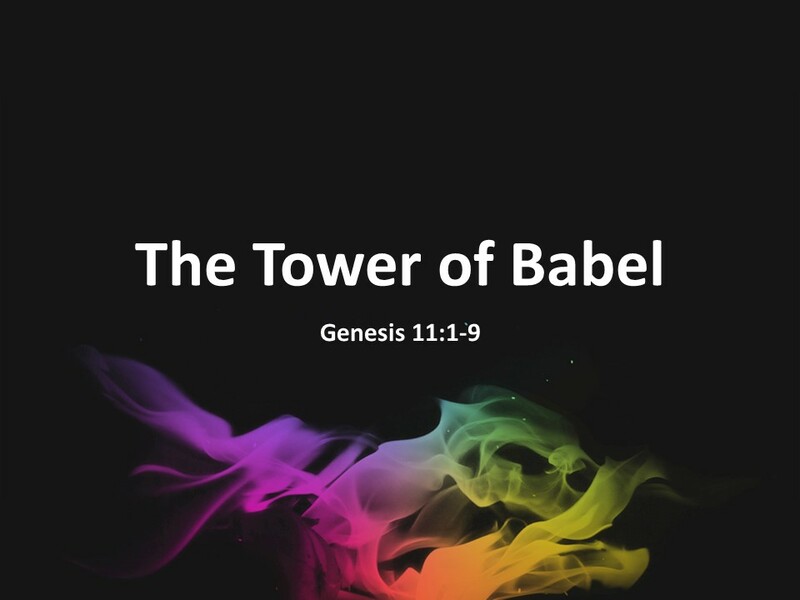 The word “Babel” means the “gates of God.” We later drew from this word babbling. However, far from being a gate of God, from what we know from the text, God wasn’t considered by the inhabitants of this city. This led to their downfall and it should serve as a reminder to us. Giving ourselves the right name isn’t enough; what’s important is how we relate to God. 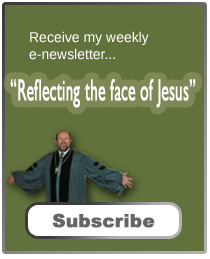 Are we trying to glorify ourselves, or do we live to glorify God? Another way to ask this question has to do with our motives. Are we trying to build a name for ourselves or are we content with the name God has given us? Do we give God the glory for our accomplishments or do we claim them as our own? These are questions we need to always be asking, for we are always being tempted to put something else in God’s place. And that’s sinful. That’s idolatry. Amen. In Chapter 11, all people live together but in Chapter 10, we learn of Noah’s children going their separate way and starting cities. Genesis 11:4 and 12:2. See Donald E. Gowan, Genesis 1-11: From Eden to Babel (Grand Rapids: Eerdmans, 1988), 118. For the foundation of this story, see Gowan, 115-120 and Walter Bruggemann, Genesis: Interpretations, a Bible Commentary for Teaching and Preaching (Atlanta: John Knox Press, 1982), 97-104..
 “Eve of Destruction” sung by Barry McGuire, 1965. Gerhard Von Rad, Genesis: The Old Testament Library (Philadelphia: Westminster Press,1972), 150.